The bathroom is the perfect haven for everybody’s personal fantasies and indulgences and so they take utmost care to create one of the most important rooms in the house. How you keep your bathroom speaks a lot about your character. Choosing equipments for creating the bathroom takes a lot of knowledge and aesthetic skill. Use most of the available space allotted for your bathroom in such a way that you feel comfortable in it and have all the luxuries you ever wanted to have. There is no bathroom without a tub or a shower, so choosing the right shower door for your bathroom keeps it healthy and hygienic all through its life. There are shower doors that you get to buy in the market, which fits in well with cramped spaces, and still make your bathroom look elegant. In more ways than one, the shower doors are a much better choice than your shower curtain. You get to buy transparent shower doors in the market so that you can see through the rest of the bathroom and this gives a feeling of space in your bathroom. There are however certain things that you should remember before making a final purchase. It should be able to keep off every single drop of water from seeping into the main bathroom. A hinged shower door really keeps off the water. It can be a bit expensive for the average buyer, but they are worth the price are easier to install too. Choose a material that you will find easier to clean, glass perhaps. 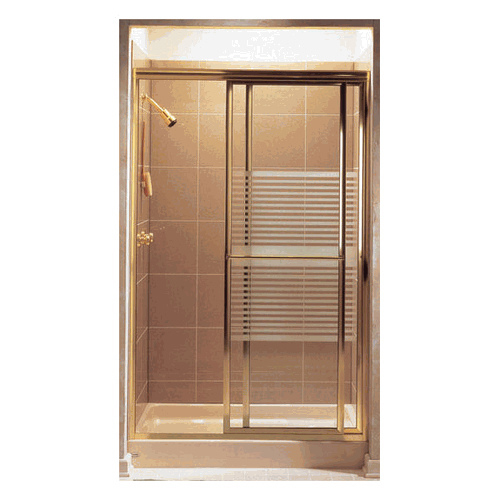 Sliding shower doors can be cleaned with soap and water and this is the preferred choice of most buyers when they are fastidious about cleaning. 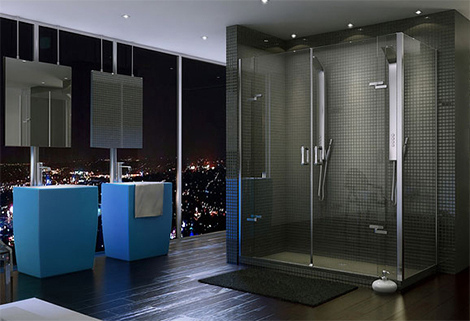 The amazing variety and styles that are available for shower doors will have you confused. There are doors with metal frames and those without them. Some people prefer frameless shower doors because that means fewer places to hold water and thus less chance of mold and mildew. Frameless doors are easier to clean and the handles, bars and hinges are attached in the glass itself, instead of being attached to the panel. It however depends on what kind of finish you want with the doors and whether choosing a particular door would suit your budget. Your options do not end there; you have choices among bi-fold doors, sliding doors and pivoted doors. People with smaller bathrooms prefer the bi-fold doors because they require only very little space. Sliding doors are also called bypass doors and they come in attractive varieties and great styles. Make sure you buy a door of superior quality or you will have to keep on changing the rollers on the tracks. You may also have a bit of a problem in keeping the tracks clean. However, if you go in for the glass varieties, you will be really amazed because they have the frosted glass, clear glass, extra clear, tinted glass, patterned glass varieties and so on. Pivoted doors unfortunately take up a lot of place because it works just like any other standard door. Whatever choice you make, it is mandatory that you choose something that is durable, instead of going for the fancy kind that doesn’t last long. A bathroom is the ultimate place where you unwind yourself and let loose all your frustration, so choose the colors carefully and make sure the bathroom has no chance to grow moldy.